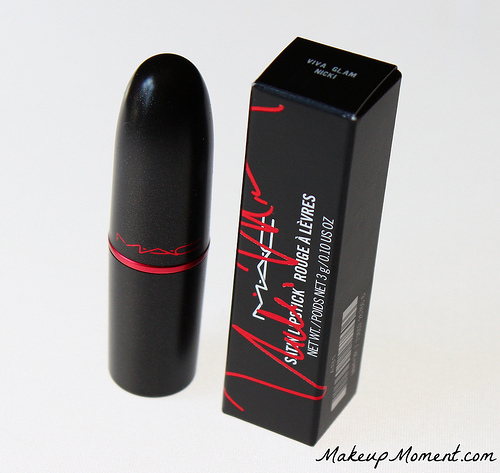 After much lusting after, I finally purchased a tube of MAC's Viva Glam Nicki lipstick ($15.00). I don't know what took me so long to obtain this lipstick because I absolutely adore it! It's just all kinds of awesome, really. I like it so much that I may have to pick up a back-up tube. In case you aren't familiar with the concept behind MAC's Viva Glam products, every cent of the sales price of Viva Glam lipsticks and lipglasses is donated to the MAC Aids Fund, which helps women, men, and children affected by HIV and AIDS (source). I just love companies who do their part, and give back to such amazing causes. It makes purchasing the item that much more sweeter. Viva Glam Nicki is a vivid, yellow toned pink that was made to stand out. The pigmentation of this lipstick is amazing. So much so, that one layer is plenty enough to yield saturated color payoff. The color is super bright and it definitely makes a statement. You all know that I absolutely love bright lip colors so I really don't mind the heavy pigmentation and boldness. But if you are one who tends to shy away from colors like this one I find that blotting on instead of swiping on the lipstick, will lessen the intensity and make Viva Glam Nicki a bit more wearable. Viva Glam Nicki contains a satin formula that goes on smooth, without tugging on lips. It feels really comfortable and lightweight on the lips, too. If your lips on on the drier side though, I strongly suggest properly exfoliating and prepping lips before application because this lip color has the tendency to enhance dry areas. When sporting a lip color this bright, smooth lips are crucial for the best looking results. When it comes to lasting power, I begin to see some fading around the 5 hour mark. This lipstick does leave behind a stain but the color doesn't fade very evenly-I get an obvious ring of color around lips. Definitely carry this lip color in your makeup bag for touch-ups. Overall: MAC's Viva Glam Nicki is a great addition to my ever-expanding MAC lipstick collection. This shade certainly feeds my bright lipstick obsession, and it's going to be such a fun color to sport for the warm, summer months. 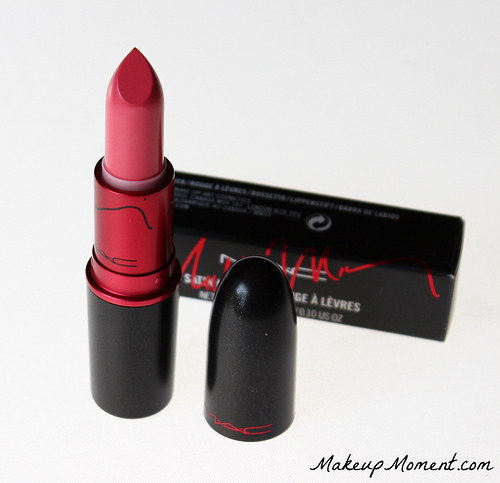 If you favor bright lipstick colors like this one, MAC's Viva Glam Nicki is a total must-have that won't disappoint! What do you all think of MAC's Viva Glam Nicki lipstick? I want it! It's such a beautiful color! I love all of Nickis colors for MAC. Shes so bright and refreshing! Im looking for a new color lipstick though, any suggestions?